The Shape Of Water and Get Out have been the favorites during this year’s award season, with both making good showings at multiple award shows and setting their hopes high for the upcoming Academy Awards in March, but the British Academy somewhat broke from the pack a bit for today’s BAFTA Film Awards by giving Three Billboards Outside Ebbing, Missouri more accolades than any other movie of the night. The Shape Of Water had gone into the ceremony with 12 nominations—more than any other movie—but it only walked away with Best Director for Guillermo Del Toro, Best Original Music, and Best Production Design. 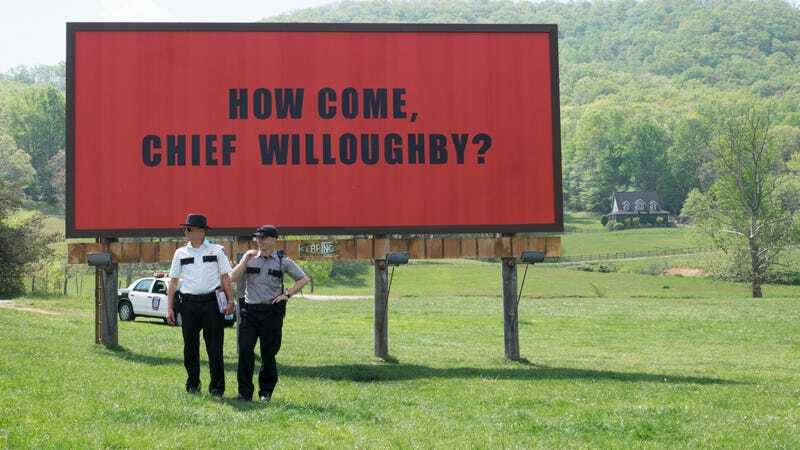 Three Billboards, meanwhile, won Best Leading Actress, Best Supporting Actor, Outstanding British Film, Best Original Screenplay, and Best Film overall. Darkest Hour, arguably the most British film of the year, had to settle for Best Leading Actor and Best Make Up And Hair. Lady Bird, another favorite at other award shows, went home with nothing. The full list of winners is below (via Variety).